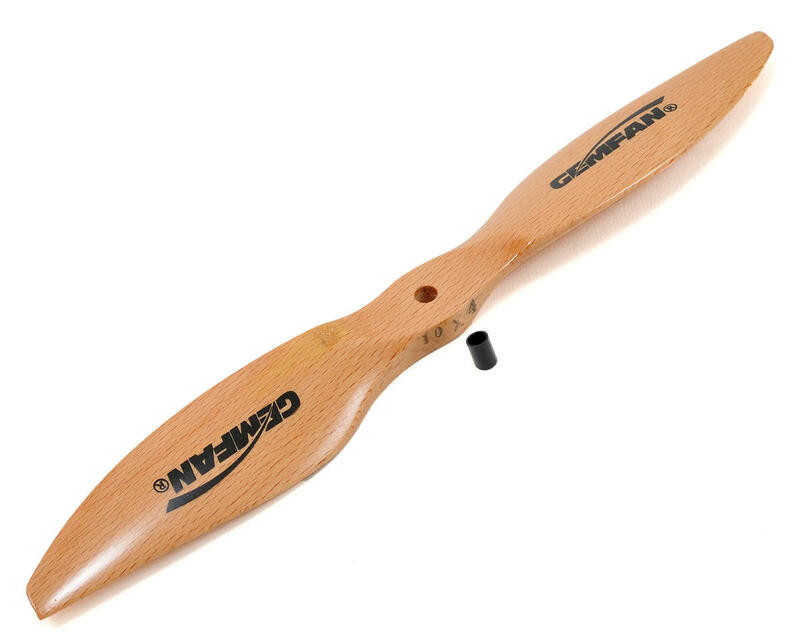 This is a GemFan 10x4R Wood Reverse Rotation Propeller. GemFan Wood Series props are among the best available, and have been developed specifically for hovering flight applications. 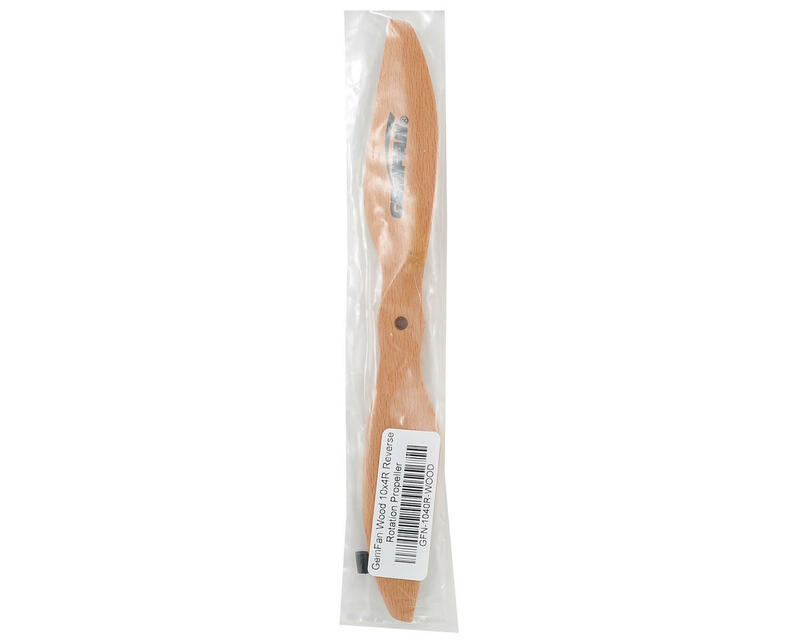 The blades feature an elliptical blade shape that produces a more uniform thrust distribution across the entire blade surface for maximum lift and thrust efficiency. The 10x4 props have a 6mm diameter center hole. "Reverse" rotation is counter clockwise. The weight of wood props will vary due to variations in the density of the wood, so the actual weight can vary somewhat. The 10x4 props have an average weight of 17 grams or 0.60 ounces.